**I’ll manually add all the decks played at the BlizzCon 2014 Hearthstone World Championship tournament. For now, check out DTwo, Firebat (tournament winner) and GreenSheep. I am not a good Hearthstone player. I may be average. I imagine I’m close to mediocre, disappointing, unimpressive. I don’t know what separates me from the best, or even the consistent, but I think it’s telepathy. Possibly ESP. There’s some degree of anticipation and control they possess that I do not. And that’s why I am eagerly awaiting Goblins vs. Gnomes. Look at all that chaos the Goblins introduce. 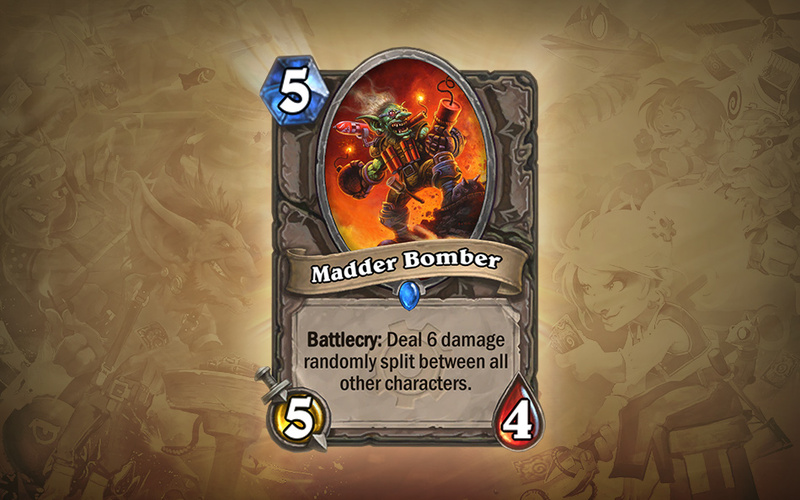 Imagine “Mad Bomber” spread over 40 cards. Summon a random minion for three less? During my Blizzcon games I summoned, or had summoned against me: Thrallmar Farseer (free! ), Tirion Fordring (for a mage), Earth Elemental (basically no overload), Knife Juggler, Argent Commander, Boulderfist Ogre, and Savannah Highmane. 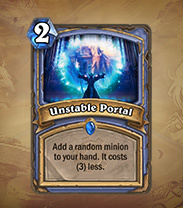 Unstable Portal is wonderful. 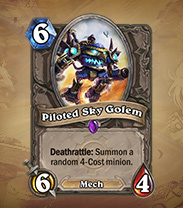 So are all the piloted cards. All of them. I’ve seen Armorsmith, Flametongue Totem, Kor’kron Elite and a Pit Lord. The Spare Parts are going to be fun, especially if you run a mill deck. “Here, have some crap.” and burn that Jaraxxus you need so badly. 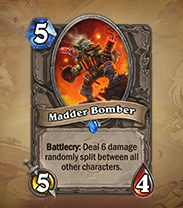 I like the cards that counter high hand sizes directly, like the Clockwork Giant (12 cost, 1 less for each card in the opponent’s hand) and the Goblin Sapper (gains +4 attack as long as the opponent has 6+ cards in hand). The Recombobulator sounds dangerous and wild – transform a friendly minion into a random one with the same cost. Use the battlecry, transform it into a deathrattle. Bouncing Blade is brawl’s bloodier cousin. It might encourage enrage decks. Who knows? The meta game is going to change so much. Some decks will stick around, most will I think, but so many new options are rolling in that there will be several ladder seasons will be all shook up. Excited? You better be. I’m terrible at this game and I can barely contain myself. Until December, watch the trailer on repeat. We have got some extra details about Goblins vs Gnomes not available on the official Hearthstone website. Directly from BlizzCon 2014 we have learned details from the Frequently Asked Questions, Overview and features. We do know a version of Hearthstone for Android Tablets is coming in December, as revealed during the Activision Blizzard Q3 2014 financial results conference call. However, http://warcraft.blizzplanet.com/blog/comments/the-red-shirt-guys-blizzcon-2014-predictions; and we learned today at BlizzCon 2014 the new Spectator Mode will be introduced to Hearthstone when Goblins vs Gnomes launches this December. Blizzard Entertainment’s Hearthstone: Heroes of Warcraft is a free-to-play digital strategy card game. Designed to be deceptively simple and epically engaging for players of all backgrounds, Hearthstone features quick and lively duels that evoke the spirit of a friendly match played beside a crackling tavern fire. Play Mode: Duel other players to level up your Heroes and complete quests along the way. Whether you’re a grizzled veteran, curious newcomer, or fall somewhere in between, Battle.net matchmaking will pair you up against a worthy opponent. You also have the chance to earn exclusive card backs each month to customize your deck in Ranked Play. The Arena: Put your skills to the test in this mode where deck-building is half the fun. Pick between three different, randomly selected Heroes, then assemble a new deck by choosing from a selection of randomized cards. Once 30 cards have been selected, it’s time to roll up your sleeves and head to the Arena where players duel other participants for a chance to win rewards. After winning 12 matches, or losing 3, you will unlock a chest of loot based on how well you did. Solo Adventures: With Adventures, players go toe-to-toe with computer-controlled opponents to earn unique Adventure-specific cards. Hearthstone’s first Adventure, Curse of Naxxramas, was released in July and paired players against a variety of spooky bosses. If you’re not quite ready to set out on an Adventure, Practice Mode offers a chance to polish abilities and try out new deck ideas against basic or expert AI opponents. Quests: Players can immerse themselves in daily quests that will reward them with gold when completed. Gold can be used to purchase more card packs or gain entry into the Arena. 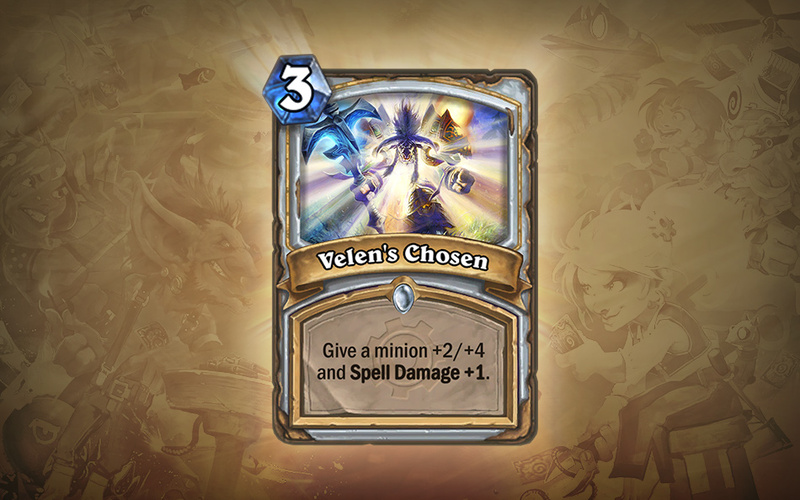 Crafting: Disenchant those extra cards in your collection to receive Arcane Dust, the material used to construct Hearthstone cards. 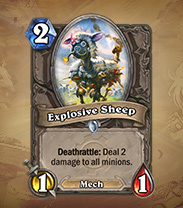 You can then use this dust to craft cards to complete your decks or fill out your overall collection. Cross-Platform Compatibility: Hearthstone is playable on Windows PC, Mac, as well as on iPads. You only need one account to access your collection manager and get to slinging cards! More Platforms: Hearthstone will be available on select Android Tablet devices before the end of the year, and on select phones early next year. More Cards: At BlizzCon we announced our first expansion, Goblins vs Gnomes, due out in December. It will have over 100 new cards that will be available as card packs. Spectator Mode: This feature will allow for players to watch their friend’s Hearthstone games in real time, or invite friends to watch theirs! Goblins vs Gnomes is the explosive first Hearthstone: Heroes of Warcraft expansion, giving players more cards—and more ways to construct their decks—than ever before! 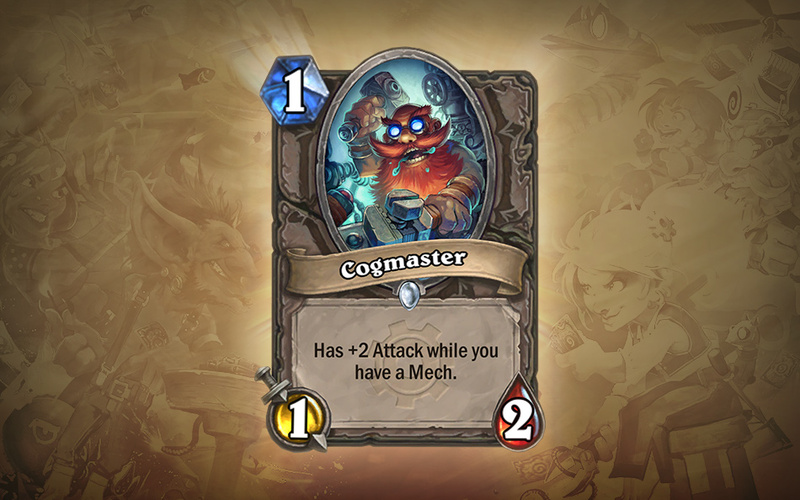 Goblins vs Gnomes card packs will offer players over 120 new cards to add to their collection, sparking an explosion of new strategic options and ways to play Hearthstone. 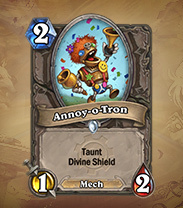 These cards focus on the epic rivalry between goblins and gnomes—as well as the inventions they concoct to get the upper hand. 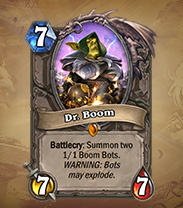 Hapless heroes across Azeroth have learned to expect the unexpected when it comes to the contraptions crafted by goblin engineers and their gnomish counterparts—and that dynamic is the perfect fit for Hearthstone. With our first expansion, we wanted to stick with a fun common theme just like we did with Curse of Naxxramas, our first Adventure—but this time, the results are more unpredictable. 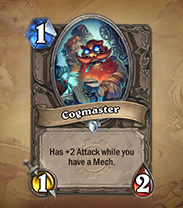 GvG features a new type of card —Mechs—that represent the inventions designed by goblins and gnomes. These mechanical marvels can have, well . 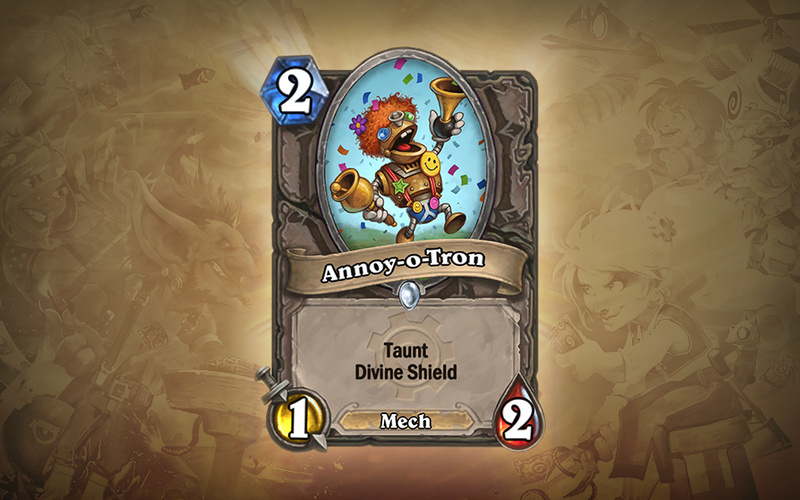 . . let’s just say “interesting” interactions with other cards that we can’t wait for players to discover. 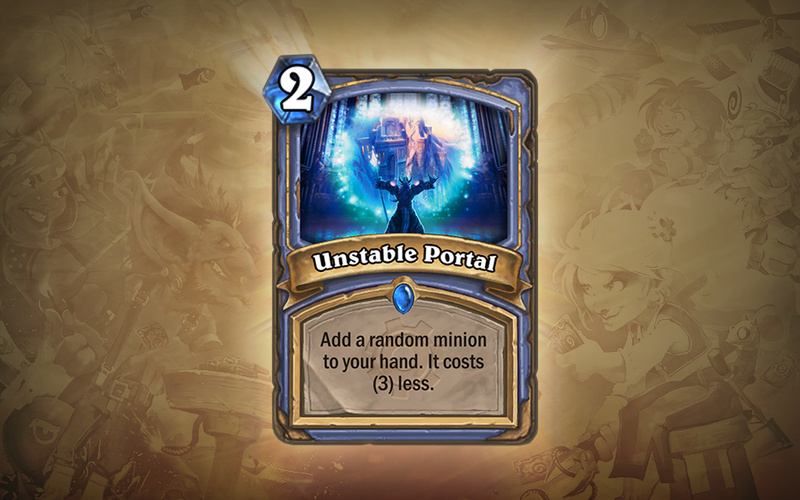 As with Curse of Naxxramas, GvG cards will be available in the Arena without having to own any of the cards. Players will also win Goblins versus Gnomes card packs after completing a run in the Arena. How do you get these crazy things? Goblins vs Gnomes is due out in December 2014, for all your tinkering needs. Goblins vs Gnomes in the next expansion for Hearthstone. It will be available in December 2014, and it is playable at BlizzCon. 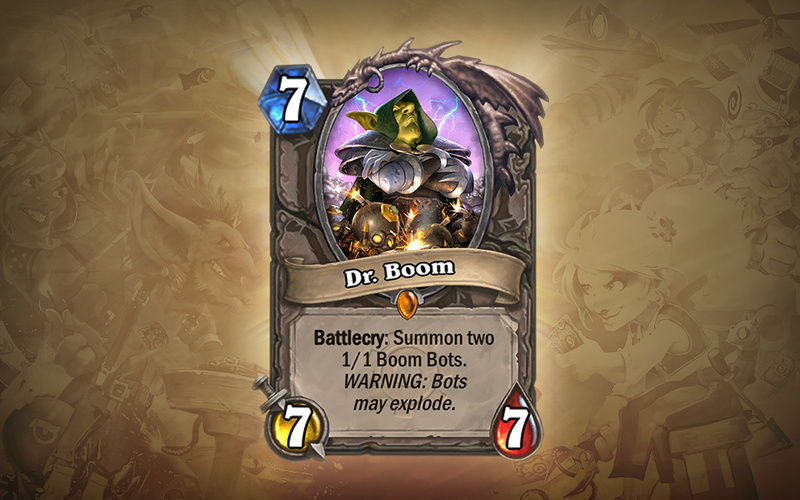 The new expansion contains 120 new cards based on the goblin and gnome technologies. More details soon. Don’t forget to follow us on twitter at @Blizzplanetcom for updates on BlizzCon 2014 panels full transcripts. Powering up and exploding onto the scene: Goblins vs Gnomes, Hearthstone’s first expansion, has been officially EXPLODING revealed today at BlizzCon! Goblins vs Gnomes throws players smack dab in the middle of a rivalry between cunning goblin engineers and their eternally-tinkering gnome counterparts. These pint-size foes don’t always have the upper hand over the myriad mechanical contraptions they cook up, and the results can be . . . unpredictable. 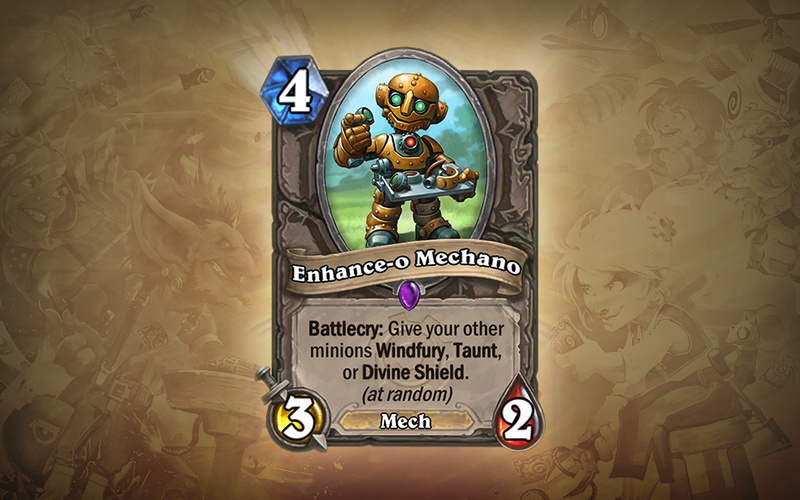 The expansion brings a slew of brand-new cards that are ready to wreak a wealth of mechanized havoc on your opponent: Our own tinkerers and explosives aficionados have assembled over 120 new cards that will be sure to throw a wrench in your opponent’s gears—literally. Check out a few of the wild and wacky inventions that have been engineered for your collection below! 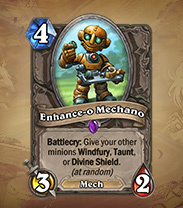 The new expansion brings with it an all-new minion type—Mechs. Much like the Alarm-o-Bot and Harvest Golem, these quirky contraptions have been built to pack a creative spring-loaded punch to your game. 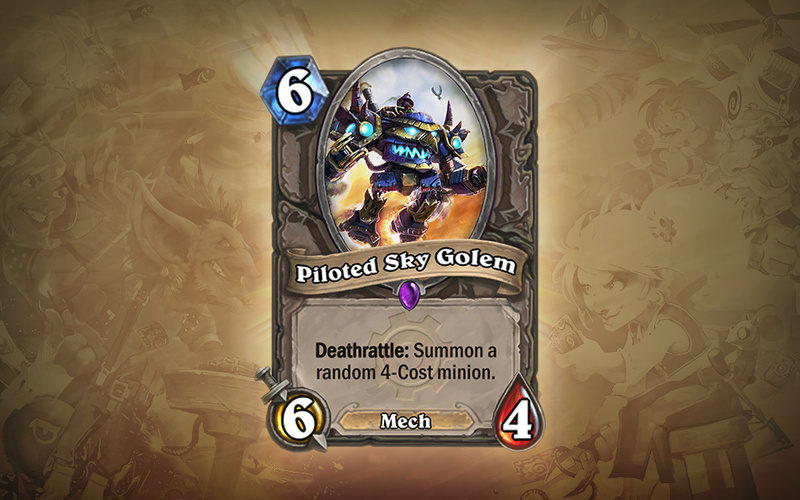 Goblins vs Gnomes will introduce both neutral and class-specific Mechs, so prepare for things to get interesting*! Stirring up trouble this December for Windows®, Mac®, and iPad®, Goblins vs Gnomes cards will be available by purchasing Goblins vs Gnomes-specific card packs in the in-game shop with either gold or real money, whichever you prefer (same pricing as expert card packs). 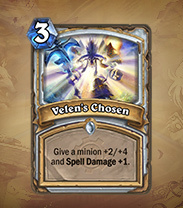 As with Curse of Naxxramas, Goblins vs Gnomes cards will be made available in your Arena picks as soon as the cards have been released; even if you haven’t added them to your personal collection! Prepare (Your Kneecaps) for Battle! 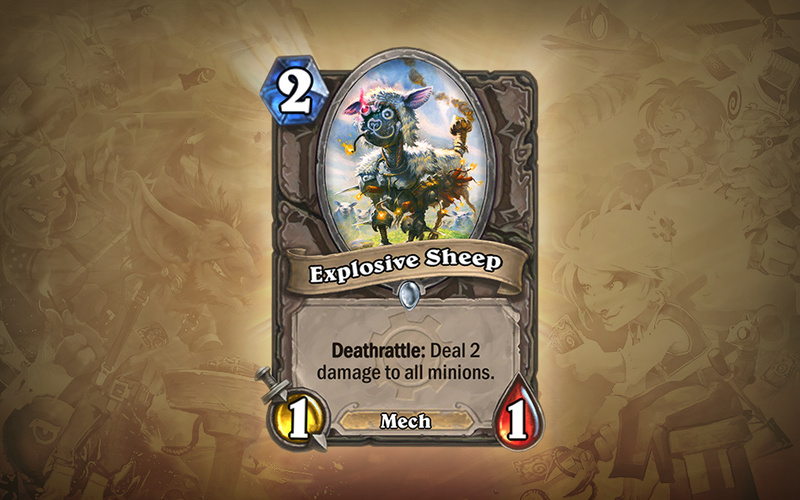 We hope you enjoyed this early look at Hearthstone’s first expansion—Goblins vs Gnomes. Stay tuned for further details right here on our brand new Goblins vs Gnomes page here! Keep an eye out** for the expansion in December! *We take no responsibility for damages if things get too “interesting”. The Hearthstone World Championship Semi-Finals Livestream from ESL’s Burbank Studio has begun. Watch the rumble royal of 16 top Hearthstone players with community casters Dan “Artosis” Stemkoski, Dan “Frodan” Chou and Isaac “Azael” Cummings-Bentley. Over 90,000 viewers are currently watching the livestream on Twitch. Check out the schedule. The BlizzCon 2014 Store has opened its door while supplies last or until the servers crash. There are new Heroes of the Storm, StarCraft II, Diablo III, World of Warcraft and Hearthstone products. You must be login to Battle.net to be able to see the BlizzCon 2014 Store. Note: The exclusive merchandise can only be accessed by those who purchased a BlizzCon 2014 ticket or the DirecTV Virtual Ticket. Check out our gallery capturing all of them. Welcome to the Haunted Sounds of Sanctuary. This collection encompasses the ominous moods of the world of Diablo. Listening to these soundscapes will evoke the unsettling atmosphere of a world under constant threat of destruction. This is no collection of nursery rhymes, and is not for the faint of heart. You have been warned. Stay awhile and enjoy the misery of the Haunted Sounds of Sanctuary – if you dare. To be added on November 7th, 2014.